It isn’t known why the suspect, who remains heavily sedated and under guard, targeted TSA workers. 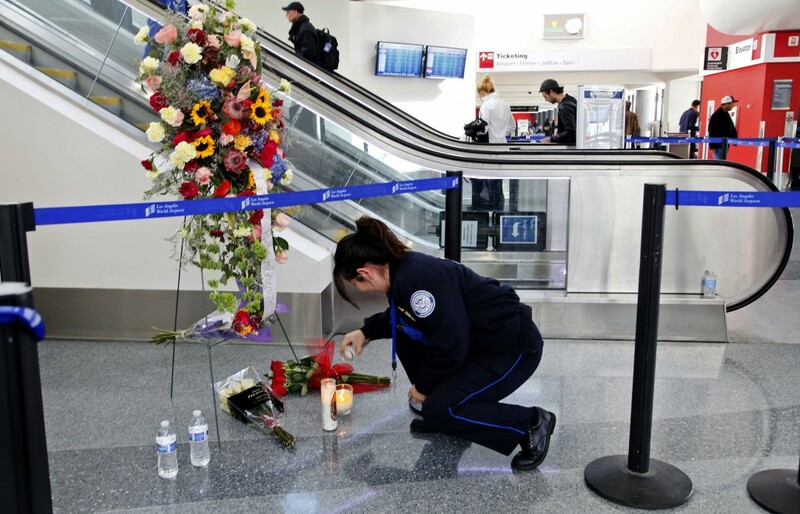 LOS ANGELES – Relatives of the suspect charged in last week’s Los Angeles airport shooting offered sympathy Monday to the family of the TSA officer who was killed, saying they were “shocked and numbed” by the deadly rampage. An attorney for the family of Paul Ciancia said his relatives also expressed hope for the recovery of the other victims and regret for the travel disruption caused by the attack on the nation’s third-busiest airport. Family lawyer John Jordan read a brief statement outside the town hall in Pennsville, a working-class town near Wilmington, Del., where Ciancia grew up. “Paul is our son and brother. We will continue to love him and care for him and support him during the difficult times ahead,” Jordan said on the family’s behalf. The relatives, who had not spoken publicly before, said they were cooperating with the FBI and other law enforcement agencies. Jordan, who is also the town’s municipal judge, did not take questions. Ciancia, a 23-year-old unemployed motorcycle mechanic, is accused of shooting his way past an airport checkpoint with a .223-caliber rifle he pulled from a duffel bag. He was wounded in a shootout with airport police. Prosecutors have charged him with murder of a federal officer in the death of TSA screener Gerardo I. Hernandez and committing violence at an international airport. In the Ciancia family’s neighborhood in New Jersey, stop signs at either end of the street were adorned with stickers advertising Infowars.com, a website that discusses many of the same anti-government ideas officials said Ciancia mentioned in a hand-written note found in his bag. There was no way to tell who put the stickers on the signs. Orange construction cones blocked the family’s long driveway, and two police officers were at the auto-body shop owned by Ciancia’s father, also named Paul. On Monday, the FBI revisited the suspect’s Los Angeles apartment — the same duplex that agents searched Friday. On the morning of the shooting, Ciancia entered his roommate’s room unannounced and asked to be driven to the airport, authorities said in an affidavit supporting a search warrant. The roommate agreed, taking the suspect to Terminal 3. The attack began minutes later. He told authorities he did not learn of the shooting until after returning to the apartment. On Monday, a man was escorted out of the apartment and drove away in a black Hyundai — the same type of car that authorities said was seen in surveillance video dropping off Ciancia at the airport. The FBI would not identify the man or discuss the investigation. Neighbors say they remembered little or nothing about Ciancia. Some did not even recognize his photograph. Ciancia, who was shot four times before being subdued, remained in critical condition. He has not been scheduled to appear in court. Any appearance will depend on when his doctors say he’s ready, FBI spokeswoman Laura Eimiller said. Grigsby read a statement outside his South Los Angeles home Monday, saying he was trying to help an elderly man get to safety when he was shot twice in the right foot. He fought back tears as he called Hernandez a wonderful person who will be missed. “Only now it has hit me that I will never see him again,” Grigsby said. Brian Ludmer, a high school teacher, also remained hospitalized. He has to undergo at least one more surgery on his leg and extensive physical therapy, hospital officials said Monday, but his condition was upgraded from fair to good. 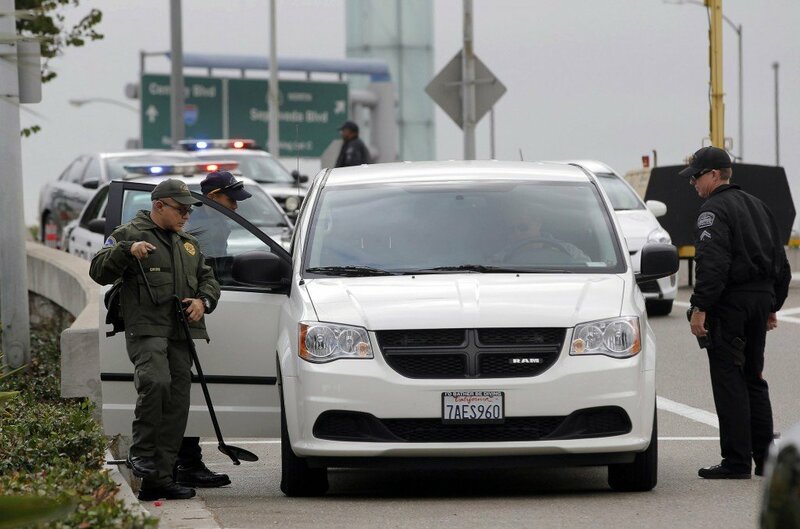 Ludmer fled the gunman after he heard shots, finding himself running amid two TSA officials, said Dan Stepenosky, superintendent of Las Virgenes Unified School District. A bullet pierced the back of Ludmer’s right calf, shattering two bones and creating a 4-inch hole as it left his shin. The bullet also grazed his left leg as he was running. He was scheduled to undergo a second surgery Monday to implant a titanium rod into his leg because of the extreme damage. Stepenosky visited with Ludmer on Sunday at Ronald Reagan UCLA Medical Center. With the metal rod, Ludmer joked that he would now have an even harder time getting through security at the airport, the superintendent said. Two other people suffered injuries trying to evade the gunman but weren’t shot. TSA Administrator John S. Pistole said he’ll be taking another look at the relationship between his agency and airport police at LAX and across the country. But Airport Police Chief Patrick Gannon said at a news conference Monday afternoon that nothing is 100 percent.